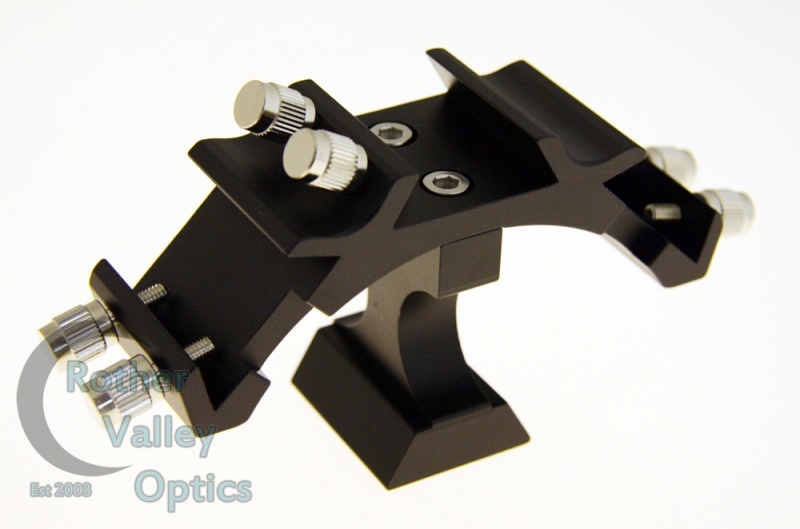 A brilliant triple finderscope bracket exclusively at Rother Valley Optics! Now you can use multiple finders with this great bracket. This will take 3 synta style finder or guide scopes with ease. All saddles have 2 screws for ultimate hold. 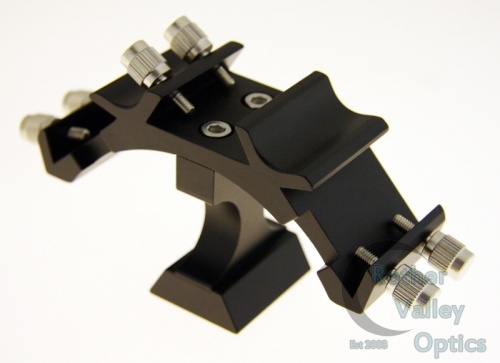 The bracket itself is made from a high quality mold and all metal for strength. 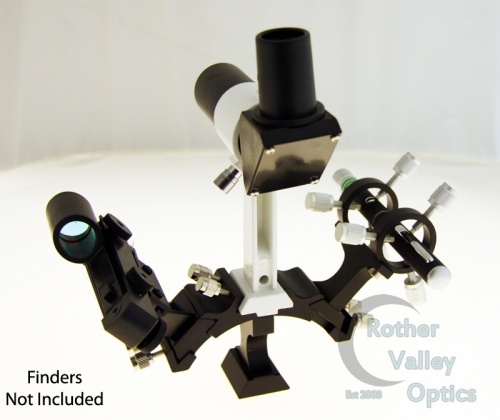 The perfect solution for anyone who has a finderscope or a red dot finder, who wants to introduce a guide scope and keep the weight down or even one of our laser pointers! Please note the finders and laser pointer on the image are not included in the bracket. This is for illustration purposes only.